May Sinclair was a novelist, poet, philosopher, translator, and critic. She was both popular and extremely prolific, writing twenty-three novels, thirty-nine short stories, and several poetry collections throughout the late nineteenth and early twentieth centuries. As a critic she promoted the work of Ezra Pound and the Imagist poets, and the novelist Dorothy Richardson, among others. She also wrote works of philosophy, and was actively involved in the key issues of her day: writing pamphlets for the suffrage movement, studying and propagating psycho-analytic thought, reviewing and responding to the birth of modernism, Vorticism and imagism. She even visited Belgium as part of an ambulance unit at the beginning of the First World War. On the 24th of August 1863 May Sinclair was born Mary Amelia St Clair Sinclair, the youngest child of six, and the only surviving daughter of William and Amelia Sinclair. The Sinclair family lived at the time in Thorncote, Rock Park, Higher Bebington, near to Liverpool, where William Sinclair worked. Amelia Sinclair, May Sinclair’s mother, was ‘an unimaginative and inflexible woman’, and her strict views on religion and propriety made for a rather repressive atmosphere.1 Sinclair later described her mother’s dominance, in a letter to Katherine Hinkson, as a ‘“cold, bitter, narrow tyranny”’.2 William Sinclair was the part-owner of a shipping business, and the family led a comfortable middle-class existence, with a large house and garden and several servants until the late 1860s, when Sinclair was about seven years old, her father’s business failed, and he become close to bankruptcy. William Sinclair died on the 19th November 1881, and in 1882 the Sinclairs moved again, to Forest Gate, and then again, shortly after Sinclair returned from Cheltenham, the family moved north, to Gresford in North Wales. However, despite the extreme stress and pressure of her family’s situation, May Sinclair was still studying and writing philosophy, and she was also writing poetry. In 1886, Sinclair’s first book, Nakiketas and Other Poems was published, under the pseudonym ‘Julian Sinclair’. The next few years were no less stressful. One brother, Harold, died in 1887, and then May Sinclair’s favourite brother, Frank, died in 1889. In 1890, Sinclair, her mother, and the only brother left at home, Reginald, moved to Sidmouth, on the South Devon Coast. The change of air was meant to benefit Reginald’s health, but it was not enough: he died in 1891. 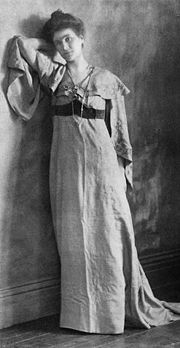 Through all this tragedy and upheaval Sinclair continued to immerse herself in her reading and her philosophical study, and to write: Essays in Verse was published in 1892, and her first paid prose piece, ‘The Ethical and Religious Import of Idealism’ followed in 1893. In 1893, Sinclair met the curate Anthony Deane, and in 1894 she met Professor Henry Melvill Gwatkin. Both men were religious, and Gwatkin particularly entered into religious debate with the agnostic Sinclair in an effort to restore her faith in Christianity. Sinclair’s relationship with Deane, however, had another element. She seems to have been in love with him, and he took the place of a literary and professional mentor as well as friend and romantic attachment.4 The two interests were not separate. Raitt’s description of the young curate in 1894 ‘writing long letters, recommending books, and climbing the steep path to Sinclair’s house to engage her in intense and deeply felt debate’ indicates that, for Sinclair, the romantic and the intellectual were deeply entwined.5 However, in 1896, Deane became engaged to somebody else, by which time Sinclair was in London, in financial trouble, looking for work as a teacher, and translating books for small amounts of money. May Sinclair moved to London in or around 1896, and in 1897 her first novel, Audrey Craven, was published. Suzanne Raitt writes that ‘Sinclair’s debut as a published novelist marked the end of an era both in terms of her intellectual life and her emotional attachments’.6 She was on the rise. May Sinclair’s 1904 novel The Divine Fire. This edition published by William Briggs, Toronto. 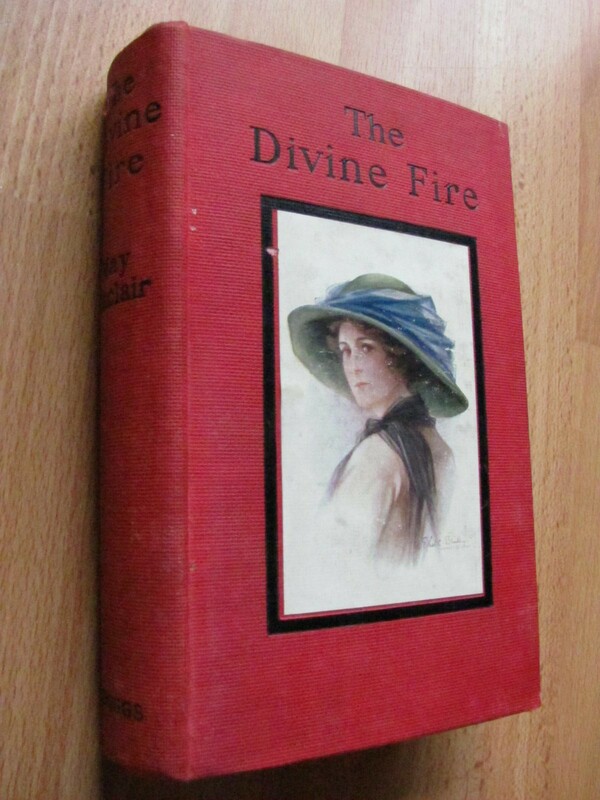 In 1904 May Sinclair published The Divine Fire, the book which made her famous. It was particularly well received in America. A year after publication, the novel was so famous and so much admired that Sinclair embarked on a ‘triumphal tour’ of the East Coast and met a host of intellectual names: Ralph Waldo Emerson, Charles Eliot Norton, William James, Mark Twain, Annie Fields and Sarah Orne Jewett.8 She was fêted, she was successful, and she was making money. In 1907, the newly secure May Sinclair moved into a flat of her own in Kensington. She was now a fully-fledged independent woman. She was also becoming increasingly involved with the suffrage movement, writing letters in the suffragist periodical Votes for Women, and joining the Women’s Freedom League in 1908. She was meeting important people on the other side of the Atlantic as well. In October 1908 Sinclair she met Thomas Hardy for the first time, and the two went cycling together, from Dorchester to Weymouth. Hardy admired Sinclair’s work, and she was in turn delighted by his admiration. She told Katherine Hinkson in a letter that she had ‘lost her heart’ to the author.9 Sinclair also met Ezra Pound in 1908, and would become both his financial patron and advocate for his work. Through him she met H.D. and Richard Aldington in 1911, and she became a champion of these imagist poets, of T.S. Eliot, and of Vorticism. In 1913 May Sinclair met Charlotte Mew, whose long poem The Farmer’s Bride she admired, and the two had a brief but intense friendship. These years also saw the beginning of Sinclair’s literary and scholarly focus on the Brontë sisters. Between the years 1908 and 1921, she wrote introductions to the new Everyman editions of Gaskell’s The Life of Charlotte Brontë, and the novels of Charlotte, Anne and Emily. The Three Brontës, a full length work of criticism and biography was published in 1912, and The Three Sisters, a novel which draws on the lives of the three daughters of a poor curate, locked in a house somewhere near the moors in Yorkshire, followed in 1914. Her interest in the Brontës led to a literary fascination with ghosts and the macabre. The ghost stories that make up the Uncanny Stories collection, written from 1910 on, can be usefully read alongside her fascination with the Brontë legacy: particularly Wuthering Heights, and the ghost of Emily Brontë which Sinclair confronts in her book The Three Brontës. Sinclair was becoming increasingly fascinated by the uncanny, and by psychoanalysis more generally. She became involved with the Medico-Psychological Clinic in 1913, donating large sums of money to the establishment of its practice, and to its ‘Fund for Nerve-Shocked Soldiers’ in 1914. At the outset of the First World War, May Sinclair was keen to help the war effort as much as possible. Hector Munro, who Sinclair knew through the Medico-Psychological Clinic, was setting up an ambulance unit, and needed her help in drumming up financial support. She was anxious to get to the war, and to help, but when she arrived in Belgium she didn’t have very much to do and was quickly sent home. Her observations, however, were written up in Journal of Impressions in Belgium, which was among the first journals of the war written from the perspective of a woman to be published in Britain. In April 1918, May Sinclair reviewed Dorothy Richardson’s Pilgrimage series in The Egoist. She expressed admiration for the novels, and the way in which Richardson’s technique had developed in order to portray life as it is lived: the inner life, of ‘stream of consciousness’. Her reading of Richardson fed into the writing of Mary Olivier: A Life, which was published in 1919. Mary Olivier is semi-autobiographical, and charts the protagonist’s coming-of-age: her intellectual questing and romantic yearnings in a household dominated by a selfish mother and unsympathetic father. It charts the inner life of Mary, much as Pilgrimage charts the inner life of Miriam Henderson. Sinclair’s novels from 1920 onwards, in Suzanne Raitt’s words, ‘suggest that her thoughts were turning to the years ahead and to the possibility of a long, slow decline with no immediate family – no children of her own – to take care of her. She was both anticipating the petty humiliations of age and illness, and returning to the stories and characters of her past’.10 The 1922 novella, Life and Death of Harriett Frean, with its tragic tale of a spinster who can never escape her mother’s influence, even in death, is one of the finest of these. May Sinclair suffered from Parkinson’s disease in the final years of her life, and disappeared from public view. She was living with her companion and housekeeper Florence Bartrop in Buckinghamshire. Her friends lost contact with her from the late 1920s onwards, and she eventually died in 1946. This article has been written with the aid of Suzanne Raitt’s superb biography: May Sinclair: A Modern Victorian. All references are to this work. 1 Suzanne Raitt, May Sinclair: A Modern Victorian (Oxford: Clarendon Press, 2000), p. 19. 2 Letter to Katherine Hinkson, 14 April, 1912, quoted in Raitt, p. 19. 4 In a letter to Henry Gwatkin’s widow, May Sinclair, on returning all the letters she had ever received from Gwatkin, added that she had kept two letters back: ‘“I don’t mind your reading them, but I sd. hate to have them published, for it is so very evident from them that I was in love with a parson who was not Professor Gwatkin”’ , in Raitt, chapter 2, footnote 37, p. 58. 9 Letter to Katherine Hinkson, 15 October, 1908, quoted in Raitt, p. 113.